Texas, a place we sometimes associate with Stetson hats, grazing cattle, and pointy-eared armadillos. But did you know that the second largest state in America is also carving out a reputation as a wine making hotspot? 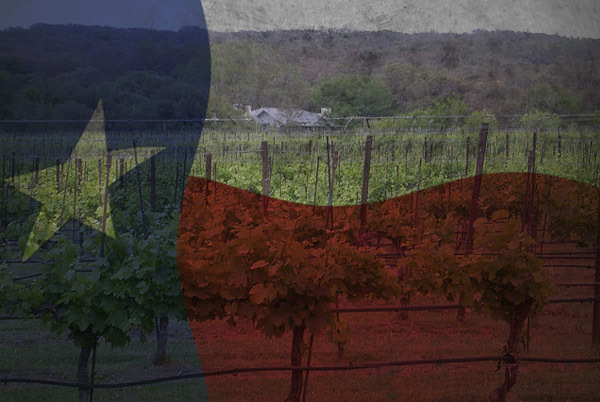 In fact, with eight recognized American Viticultural Areas (AVAs) and nearly 300 wineries, the Lone Star State is now the fifth largest grape and wine producer in the United States. And matching quality with quantity, 20 of their wineries recently took home a total of 87 medals at the 2014 San Francisco Chronicle Wine Competition. Simply put – don’t mess with Texas wine! 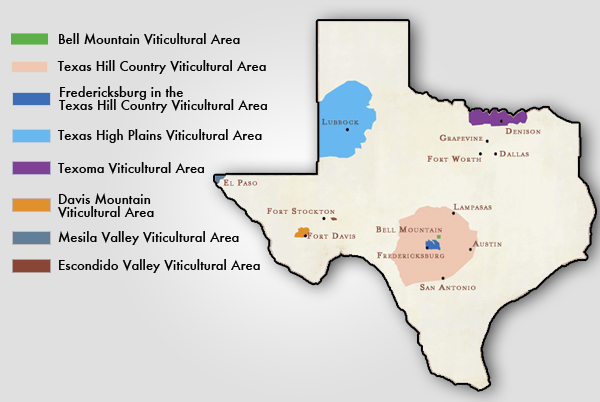 Given the history, it makes sense that Texans would be drawn to viticulture. According to its Wine & Grape Growers Association website, the state is where the first vineyard in North America was established. Similar to California, the presence of Spanish missionaries resulted in a demand for sacramental wine, with much of it coming from vineyards grown adjacent to their places of worship. What many might not know is that a Texan saved European wine from complete devastation. Thomas Munson was a Denison-based horticulturalist that through his travels developed more than 300 disease-resistant varieties of grapes. So when phylloxera – a tiny insect that attacks the roots of grapevines — threatened vineyards across Europe, it was Munson who shipped his rootstocks to fight this disease. Awarded the French Legion of Honor Cross of Merite Agricole in 1888 for his successful efforts, wine writer Karen MacNeil notes that to this day, the vines of Bordeaux and Burgundy have the same lineal rootstock as those in Denison and throughout Texas. Thomas Munson (left) helped to save European vineyards from phylloxera in the late 19th century. 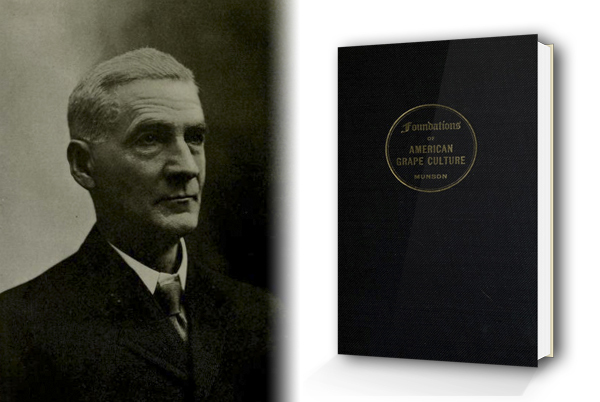 You can download his iconic 1909 book Foundation of American Grape Culture (right), which is now in the public domain for free by clicking this link. Fast-forward to the present and that same can-do spirit is alive and well in the vineyards across Texas. Of the eight AVAs, West Texas is home to several including Mesilla Valley, which encompasses El Paso County and neighboring New Mexico. Relatively high in elevation, the area is known for a long growing season with cooling winds funneling through the valley to help maintain acidity levels, which tend to be lower in hotter climates. Fourteen different grape varieties are grown there, including Chardonnay, Cabernet Sauvignon, Merlot, and Zinfandel. Moving north up the panhandle is the Texas High Plains AVA, covering approximately eight million acres of land – of which 3,500 acres are used to make wine. With a very dry climate, vintners are dependent on both the cooling winds and the subterranean Ogallala Aquifer, allowing them to produce Cabernet Sauvignon, Merlot and Chenin Blanc among others. Traveling east to Munson’s hometown of Denison is the Texoma AVA, on the border with Oklahoma and just north of the Dallas/Fort Worth area. Established in 2005, the wineries here number just six but with a diverse array of soil, both native Texas varieties as well as vitis vinifera varieties are grown here. Texas AVA Map. Special thanks to GoTexanWine.org for the image. Finally, covering an area of nine million acres is Texas Hill Country — the second largest AVA in the United States – encompassing the cities of Austin and San Antonio. Being hundreds of miles away from the Gulf of Mexico insolates the vines from the hot and humid winds. At the International Wine & Food Society, we have a solid presence across the state, with branches in Austin, Houston, Fort Worth, Northeast Texas and an upcoming branch in Dallas. Perhaps these locals can chime in on what Lone State State wines they would recommend? Have you tried wine from Texas? I’ve never had a Texas wine, but I’ve certainly tried Gruet from New Mexico, as has pretty much everyone. Pretty good wine. Does anyone have nay favorites from Texas? Kiepersol in Tyler, Texas, is doing some pretty good things.